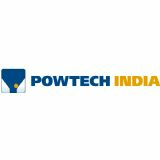 POWTECH India - India's Leading Technology Expo For Processing, Analysis and Handling of Powder & Bulk Solids. This event provides a presentation platform for innovations and advancements in processes for the manufacture of quality products made and processed from powder, granules, bulk solids and liquids - also for the environmental and recycling sector. The POWTECH Family is a union of international trade shows and conferences for the global mechanical processing industry. These events cover different continents and markets and are all related to the flagship of the mechanical processing technology industry: POWTECH in Nuremberg, Germany. This special union of events offers worldwide networking and marketing opportunities for the industry and also a perfect platform to step into new markets.